Complete production tracking, initially for Bioterrorism Act and FDA compliance, is where solutions, like Vigilistics started. Tracking of all product flows, all equipment uses, CIP and other non-production as well as production modes, and all possible co-mingling of products or contaminants is core to the functionality of safety and automation in the dairy industry. The complete tracking capability led to other uses. 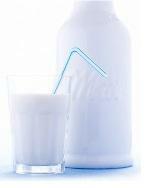 Milk loss, for example, is a significant cost for the dairy industry. Most losses are small amounts lost during events such as loading or changeovers; most losses are due to correctable human errors or inattention, or to operating procedures that can be improved. But these loss events are masked by normal plant accounting. Technology tracking capabilities proved useful in tracking product loss events, correlating to persons, procedures, or equipment responsible, leading to reductions in product losses of typically 50% or more, which is often greater than a million dollars a year. Tracking equipment utilization as well as product flows is vital in automation cost-savings. The details of energy use during equipment modes, such as the non-production modes of pasteurizers, evaporators, and dryers can waste considerable energy, depending on the operating procedures. These software solutions fundamentally assemble data, correlated to production, and provides analysis and tools to give plant management real-time visibility of operations and the capability to make and enforce improvements. The first step is modeling, where every phase of every product flow and every phase of every equipment use is represented in a model. This work requires four to six weeks for a plant, depending on the scope and complexity of the implementation. If a single plant area is implemented in isolation, the modeling can be done faster. The model is formally an ISA Standard Batch S-88 Model format, with enhancements to represent all flows and all possible co-mingling of products, to allow full product genealogy including trace contamination. The most important point about the model-based data collection is that the resulting data records are correlated to production, allowing efficient and flexible use of the data. Another early step is the assessment of the Standard Reports vs. the plant needs, and definition of any Custom Reports. Also the intelligent rules for plant Notifications and operator/shift Report Cards can be set at this stage. Receiving – the starting point for genealogy and product history tracking. Accurate records of receiving and analysis of variances generally leads to significant economic return. Fluid processing – pasteurization, separation and standardization – including product tracking and real-time notifications of problems. Batch processing operations for cheese, ice cream, cultured products – including electronic batch records (make sheets) and analysis of efficiencies and material use. Product history reports keep track of correlated data about ingredients, equipment used and processing conditions, providing a basis for yield and quality analysis. Filling and packaging operations, including downtime and efficiency analysis. Plant Operators: Some of the major benefits involve improving and then monitoring operator procedures, avoiding or mitigating human errors, and real-time notifications of issues and performance. An example is showing the operator the real-time variance between metered truck receipt and farm ticket, which could be displayed on the operator’s HMI. Plant management may decide to provide operators report cards so they have prompt feedback on their performance. Plant Manager: Supplying automatic notifications by e-mail, with attached reports, on variances beyond chosen limits on any measured or analyzed quantity. The same is available for any periodic report. A plant manager may not want the detailed report on plant receiving, but if a significant variance is analyzed, the manager may want notification and a report. The software can detect even small variances between milk receipts and farm tickets. The individual variances can be small, and may cancel out in most cases, but an analysis and correlation may show the largest causes of losses over multiple deliveries. Plant Engineer/Plant Analyst: Notifications and reports are available for plant technical staff, just as for managers. Generally the staff may have different intelligent rules triggering the real-time notifications, and they may have more detailed reports. An analyst looked at data for a dryer, and produced the following analysis of energy use during non-production modes. The analysis showed clearly the days when excessive energy was used, and this was traced to specific operator behavior. The operators were given better guidelines, and the problem events were eliminated. The savings was about 3% of plant energy costs. Note that notifications could be defined for events like excessive energy use. Plant Supervisors:The reports and notifications are useful both for understanding variances and getting regular production reports. Also supervisors may have particular interest in inventory reports and equipment utilization/downtime reports to assist with scheduling and supervising production. Other Plant Staff: Specific reports are useful for other plant staff. CIP reports have been accepted by the FDA in some cases as replacements for chart recorders. The CIP reports and other reports on pasteurization and tank storage are of interest to plant quality control. Reports on production data, real-time inventories and cost data are useful for plant accounting. While the Bioterrorism Act may have driven the need for many of the new technology solutions, the benefits far exceed lot traceability. The ability to monitor and track these data is simply better business for the dairy industry. Thomas R. Cutler is the President & CEO of Fort Lauderdale, Florida-based TR Cutler, Inc., the largest manufacturing marketing firm worldwide – www.trcutlerinc.com. Cutler is the founder of the Manufacturing Media Consortium of twenty seven hundred journalists and editors writing about trends in manufacturing. Cutler is also the author of the Manufacturers’ Public Relations and Media Guide. Cutler is a frequently published author within the manufacturing sector with more than 300 feature articles authored annually; he can be contacted at trcutler@trcutlerinc.com.